Acupuncture is a technique in which practitioners stimulate specific points on the body. This is most often done by inserting thin needles. The main risk from acupuncture is non-sterile needles and incorrect delivery. Make sure that when you are scheduling your acupuncture you go with a professional with a sound reputation and a very clean office. Most states require a diploma from the National Certification Commission for Acupuncture and Oriental Medicine for licensing to practice acupuncture. 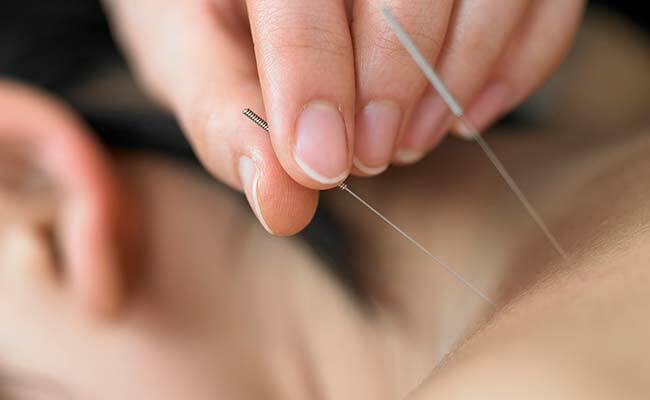 Acupuncture is used by many to treat pain, stress, headaches, and more. Relieving your body of stress and pain can lead to being able to fall asleep faster and sleep better. Those who suffer from insomnia can also find relief after acupuncture. Beijing University of Chinese Medicine performed a large analysis that showed “patients who were taking medications or herbal treatments to help with sleep, adding acupuncture therapy showed better effects than taking the medications or herbs alone”. Acupuncture alone may not be your one solution to cure all problems and get you straight to sleep at night, but in combination with a diet that is perfect for your body, exercise, and other treatments it can be part of your sleep plan.